In 1920 Taylor’s cast three new treble bells, augmenting the existing five to a ring of eight. All the bells were rehung in a new cast iron two tier bell frame with all new fittings. 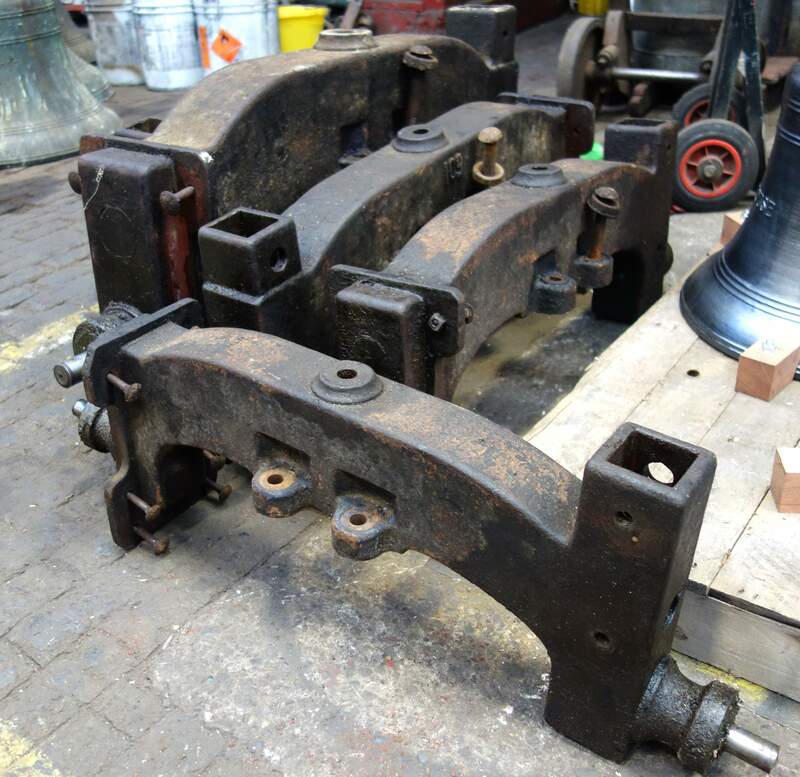 The PCC has now placed an order to strip the fittings from the largest five bells and to remove the headstocks from the tower to Loughborough. 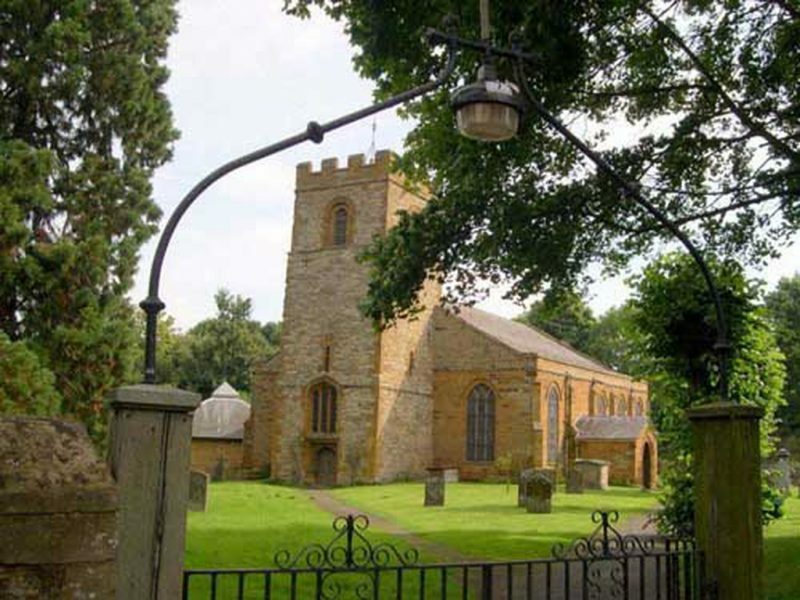 New gudgeons and bearings will be fitted to these bells before they are rehung. 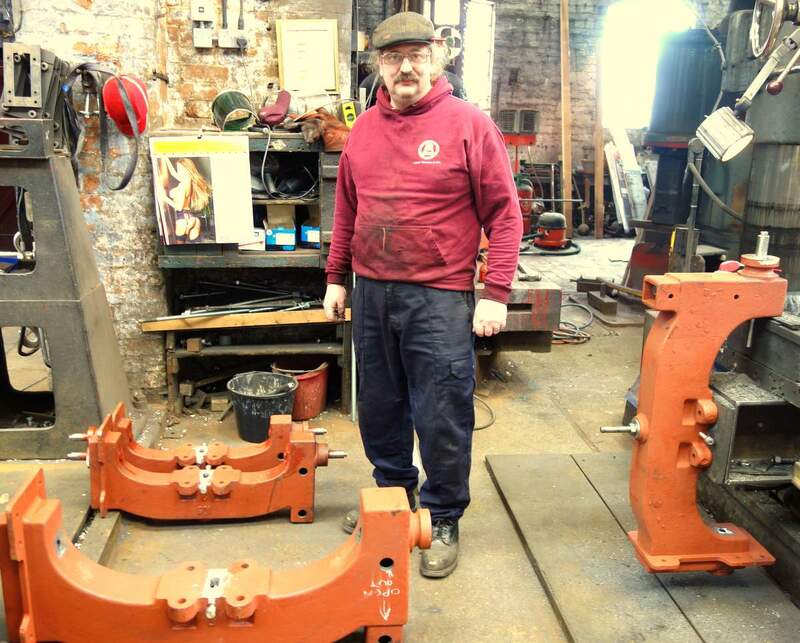 Bill works on Weedon Bec's headstocks. All eight headstocks were brought to Taylor's and have now been restored. 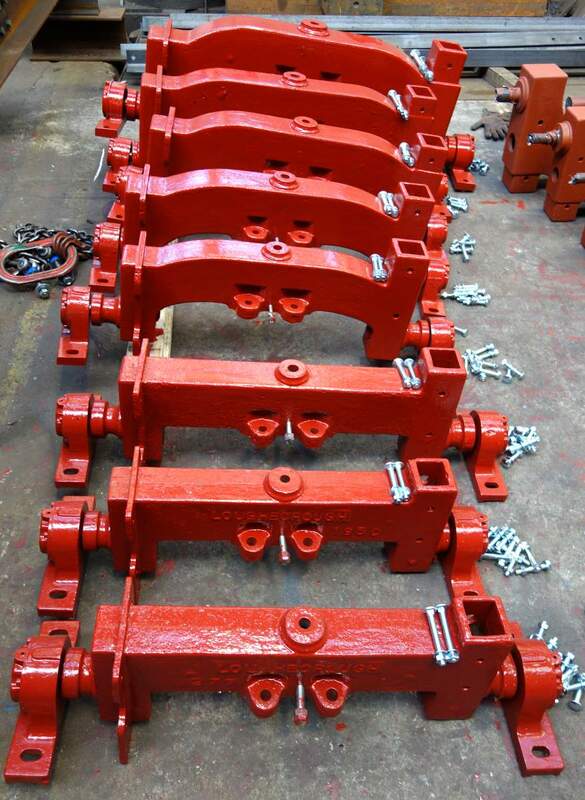 These headstocks have been removed from the tower and are now at Loughborough. The stocks have been cleaned by sandblasting. The crown staple holes have been elongated and twiddle pins have been inserted to allow for clapper timing adjustment. New gudgeons and bearings have been fitted.